The following is a guest post by Subhan Alam from Cloudways. If you are interested in becoming a guest blogger please get in touch. What if a website keeps getting loaded but fails to appear? It will load for sure but no one would wait for it to load especially when closing the tab is a matter of just a click. If you are running a WordPress website, you surely have an idea how critical is the load time of a website and how increased load time damages the overall website SERP ranking. Excessive load time also limits a website’s traffic and in this way, a slow website is destined to lose its reputation in the web space. Now the good part is, you don’t have to worry as I have researched about one of the best methods of boosting a WordPress site and that is caching. Boosting a WordPress website through optimising its caching mechanism is the best idea when it comes to optimising the load time of your website and for this job, there are several WordPress cache plugins available. I researched for the best WordPress cache plugins for days and here is the outcome: There are 3 market leading cache plugins available namely W3 Total Cache, WP Fast Cache and WP Rocket. However, there is a relatively new cache plugin—Breeze—A feature packed plugin for your WordPress website that is available for free. Let us dive deep into these four plugins and find out their distinctive features and what they have to offer. Configurable with a few clicks. Minification of HTML, CSS and JS CSS files. Compatible with WordPress Multisite and WooCommerce. 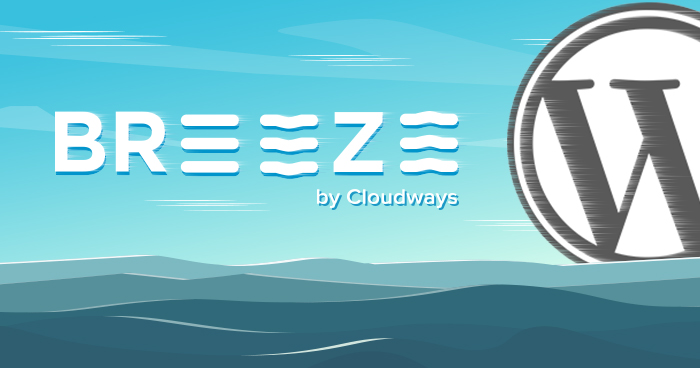 Apart from all of these features, Breeze is backed by a team of WordPress engineers all the time and incase you need any help, you will get 24/7/365 days live human interactive support. Top of it all, this plugin is totally free to use and all that it takes is a click on its download button. W3 Total Cache is the second most downloaded cache plugin of WordPress and is popular due to its impeccable performance. With a 16 detailed pages of configurations, you can apply a tailor made cache system for your WordPress website. Improves website’s search engine rankings. Reverse proxy integration via Varnish or Nginx. This caching plugin is recommended and used by AT&T, Mashable.com, Smashingmagazine.com, webdesignerdepot.com, mattcutts.com etc. Uses Mod_Rewrite—The fastest caching method. Generates static html files off Dynamic WordPress blog that enhances the performance. Cache files are deleted after publishing. Admin can delete all cached and minified CSS and JS files. Cache timeout for specific pages. This plugin has a solid reputation with over 4,00,000 active installs and is popular among all the globally acclaimed WordPress geeks. Now a plugin that holds the throne, WP Rocket is currently the fastest cache plugin for WordPress and it lets you optimize your website within minutes. The user interface of WP Rocket is super user friendly while its configuration can be set up in just a few clicks. Lazy load—Images are only loaded when a user scrolls on them. Removes query strings from static resources. That’s all I had to offer folks and I hope you get a clear choice of cache plugin for your WordPress website. All of the mentioned cache plugins have different distinctive features that sets them apart from each other and you can keep the one that optimizes your WordPress site to the fullest. Subhan Alam is a Digital Marketing Manager at Cloudways, a Managed Cloud Hosting Platform. He works on different regions and is passionate about implementing new approaches in Digital Marketing. He likes to stay fit and meditates daily.